On August 22, Validic and the eHealth Initiative hosted a webinar discussing perspectives and insights from a technologist, patient, and provider who have all had personal experience in data-driven remote monitoring programs. In this blog, Validic CEO Drew Schiller discusses the importance of operational efficiency and interoperability in supporting the incorporation of patient-generated health data (PGHD) in remote care. As more patients, especially more chronically ill patients, are in need of care services, new programs of care leveraging technology must be created to serve them. Today, there are more opportunities than ever to engage patients in new models of care, like remote monitoring, that have a demonstrated ability to improve outcomes. With the digital health technologies available today, both providers and patients have the needed tools to create meaningful, two-way communication pathways that move the needle on engagement and accessibility, especially for at-risk patients who need these services the most. In leveraging digital health technologies for remote care, patient-generated health data (PGHD) are critical to efficiently scale and operationalize these programs. PGHD can include patient-reported outcomes, activity information from wearables, and biometric data from in-home medical devices, among other sources. These data can inform providers of a patient’s behavior and level of wellbeing at home, at work, and on-the-go. Today, millions of consumers are using their smartwatches to track activities like heart rate and steps, using apps to monitor their stress levels and sleep patterns, using connected medical devices to track their blood sugar and blood pressure – all on a regular basis, and in many cases, continuously. Consider Heather, who has recently been diagnosed with type 2 diabetes. She is struggling to understand how her eating and exercise habits are directly affecting her blood glucose readings or how to adjust her nutrition based on her numbers. As a result, Heather’s readings are regularly outside of a healthy range. However, Heather joins a new program of care that allows her to submit this data via a program app directly to her care team – each time she takes a reading. Her care manager, James, notices that her blood sugar is regularly spiking after breakfast each day. He reaches out to Heather, and through the discussion helps her identify and amend her morning fruit snacking habit. While packing lunch for the kids, Heather was eating a strawberry and taking bites of banana here and there; this mindless activity was enough to raise her blood sugar daily. As a result of the interaction between James and Heather, she better understands how healthy foods impact her condition. Without access to Heather’s morning blood glucose readings, James would not have been able to identify the spikes and determine the behavior driving these; he would only have access to her a1c measures every three months to track her progress and chart her path forward. Heather’s ability to collect her health data and share it with her providers made all the difference. In the example above — and for millions managing chronic conditions daily — data alone do not create meaningful behavior change and positive health outcomes. Effective utilization of PGHD requires a feedback loop between the patient and physician. It requires context, education, and guidance to drive actions. For clinical teams to manage a growing number of patients and the complexity of health conditions, we must look to more efficient, streamlined, data-driven solutions. This ensures we are not just turning on the firehose of data to clinicians. Instead, we need to provide care teams with the workflows, dashboards, analytics, and right-data-right-time notifications to manage patients. This is the foundation of our work at Validic. We are working to help build a healthcare system that allows for a holistic view of the patient without demanding more work for clinicians. 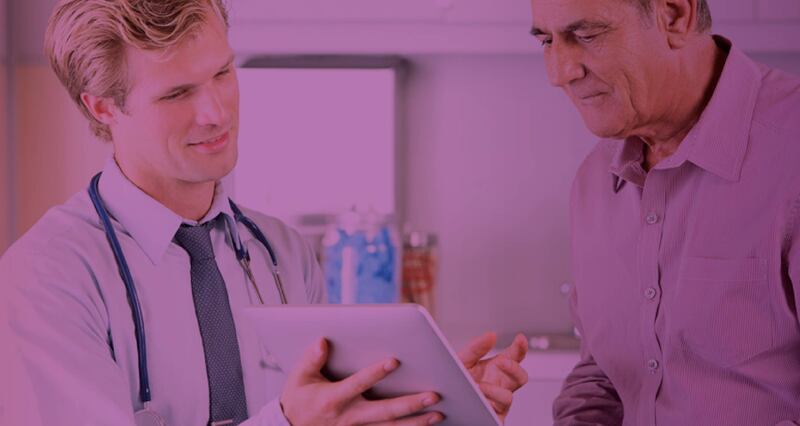 The data that patients are generating throughout the day can be integrated into existing clinical systems and EHRs in such a way that care teams have visibility into what is happening with their patients, and can intervene accordingly. Through PGHD interoperability and clinical workflow integration, providers are able to manage a higher volume of patients more efficiently and effectively. Consider Maria, a nurse care manager who manages a large population of patients with hypertension. Every week, Maria goes to her alphabetical list of patients and commences the routine of calling her cohort – starting with patients’ whose last names begins with ‘A.’ Information or updates from each patient may be relayed via phone calls, causing the patient to wait or Maria to sort through voicemails. Maria then types every piece of information the patient shares into the EHR. Maria’s focus is on acquiring the data rather than using the information for discovery to improve the treatment or care plan. Not only is Maria not able to proactively use this data, with this approach, the most at-risk patients often go overlooked as there is no way to contact all patients and identify those with the greatest needs in the allotted time frame. This labor-intensive process is wasteful and common, requiring manual work that could be automated to prevent errors or redundant tasks and limits discovery opportunities using the patient’s data. Conversely, utilizing automatically collected PGHD and clinical workflow integration, Maria can leverage a patient’s continuous data with an analytics engine to identify which of her patients need immediate attention. She is able to prioritize patients in need of engagement while empowering those patients who are self-managing effectively to continue to do so. And, with the use of automation, Maria can create alerts to trigger when a patient submits a reading that falls outside a set threshold, identify a triggering activity directly from the data or in a follow up call, and can make adjustments for her patients that day rather than three months later at a follow up appointment. As we continue to integrate these impactful technologies – all of which are available today, we are beginning to deliver care services that seamlessly fit into patients’ lives and make the healthcare experience more impactful for clinicians and patients alike. Interested in hearing more? Watch the webinar on-demand. Or, hear thoughts from the webinar’s other two speakers, Ares Health Systems President and CEO Martin Entwistle and Patient Advocate Steve Van, in their blogs here and here. Learn more about PGHD at the 2018 Connected Health Conference panel, “PGHD End User Experience: Patients and Providers,” taking place on Thursday, October 18 at 12:40 p.m. in Harborview 2 and 3. Kelly Santomas, Partners Connected Health, Drew Schiller, Validic, Christine Goscila, Massachusetts General Hospital, and Patient Advocate Steve Van, will share their perspectives and experiences.